Social media has made marketing in today's business world a much easier proposition for small businesses. Social media is cheap, effective and easy to use, which is why it is changing the way businesses market themselves to customers. 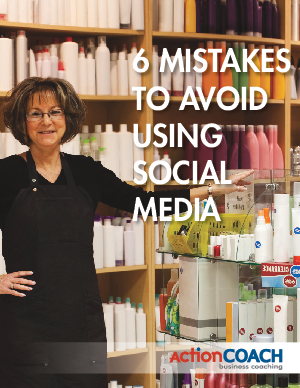 Because the world of social media is so new, there are very few hard and fast rules when it comes to its application but common sense dictates that there are a number of pitfalls to avoid and possibilities to accentuate, if you know what you're doing. So how can you avoid failure while employing the proper tools to gain experience? You can do it by avoiding big mistakes and learning as you go. Download this eBook to learn some of the biggest mistakes that business owners make and how to avoid them.